Want to learn how to create a happy bedtime routine? I share three tips sure to help you to create a happy routine that doesn’t leave you stressed out. Learn how to create a happy bedtime routine. The fast way to get happy kids is to get rested kids, yet getting kids to go to sleep is often one of the hardest things in parenting. Just when we get kids to bed they want a drink, need a hug or have to go to the bathroom. They’re up, and we have to put them back down. And the whole time we just want a little bit of peace in our evening. 1. Prepare for sleep. We have to prepare our kids for sleep hours before it’s time to go to bed. First, make sure kids don’t have caffeine in the evening. Second, it’s important to cut off electronics: iPads, computer games and television an hour before bedtime. The unnatural brightness of screens makes it hard for the body to prepare for sleep. A body’s melatonin is released by darkness, and unnatural light makes it hard to wind down. 2. Set up a routine. Kids love routine. Set up a schedule that is easy. Before you start the routine, take time to explain it to the kids. For my kids, they always look forward to the snack, and then the reading time. 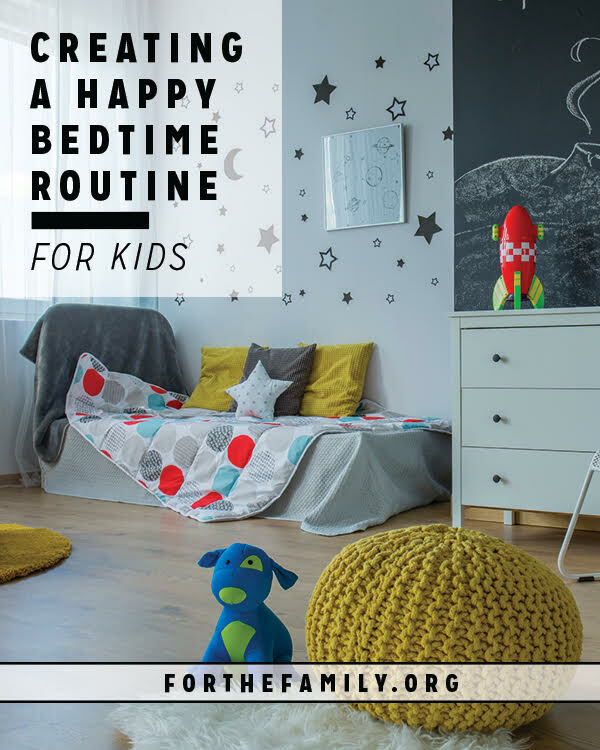 Click here for some steps that you can take + the 3rd way to create a happy bedtime routine for kids!